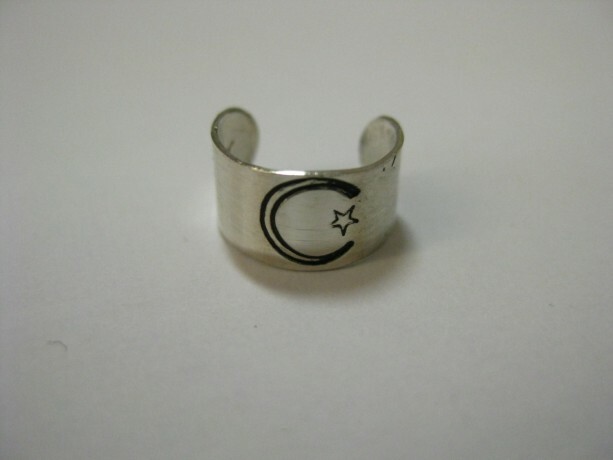 It is said that a star (or stars) and crescent featuring in some combination form the basis of symbols widely found across the ancient world, with examples attested from the Eastern Mediterranean and Central Asia The crescent is one of the oldest symbols known to humanity. 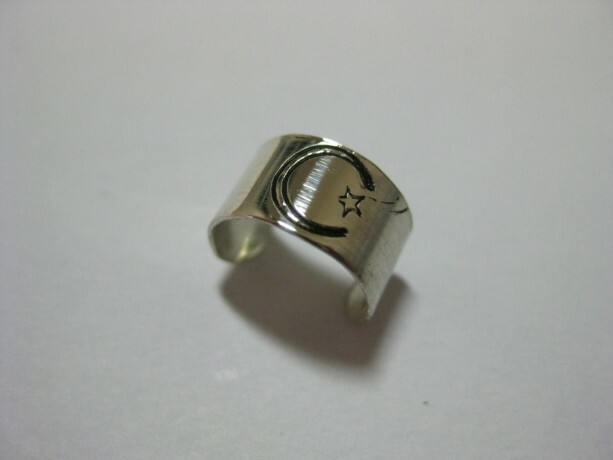 The crescent moon is also a symbol associated with the Indian/ Hindu iconography, specifically Within Puranic and Tantric Hinduism, and with so many other cultures around the world. 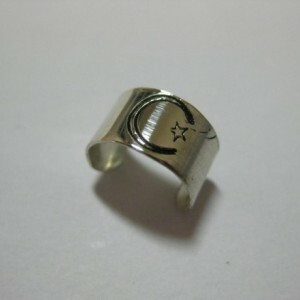 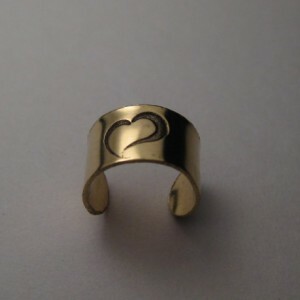 Whatever meaning it has to you, now you can wear it, and show the significance it has to you in a fashionable way. 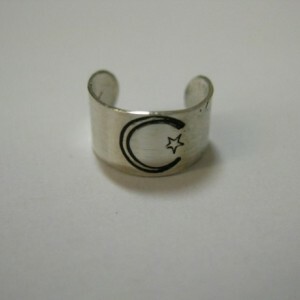 Ask about custom items and wording. 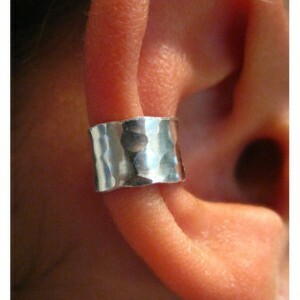 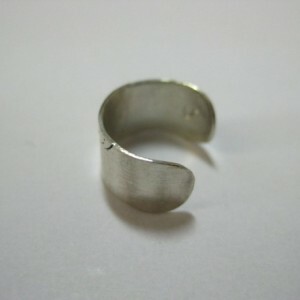 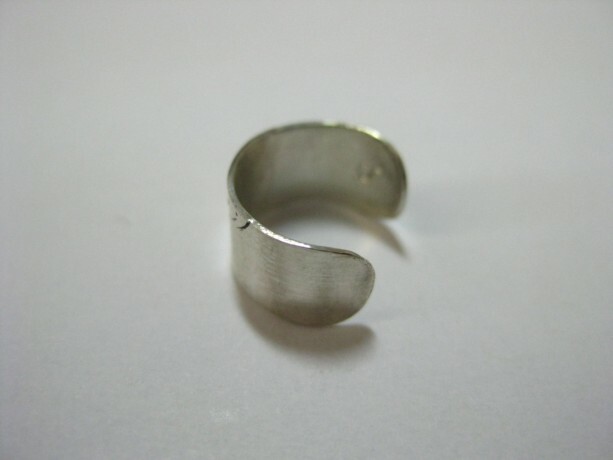 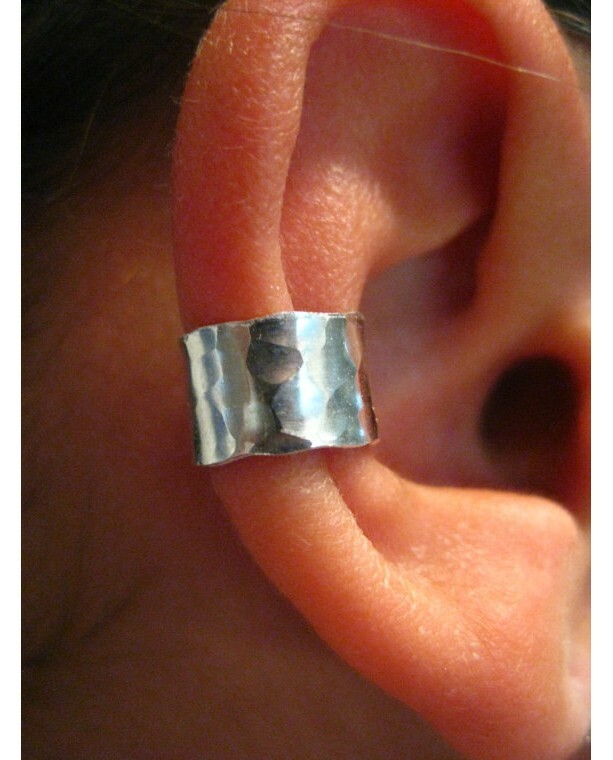 This ear cuff is a sterling silver ear cuff, but you can also order it in gold filled, copper, and brass (alloy).